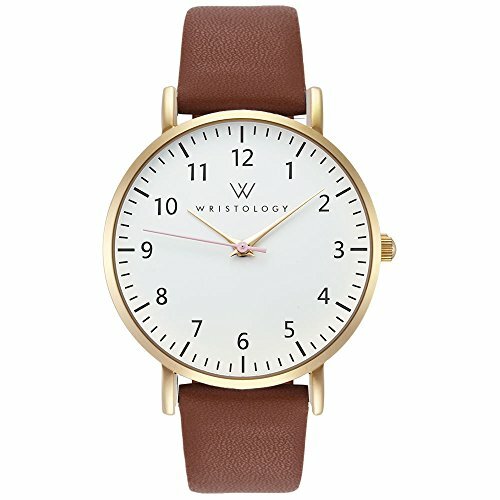 The Olivia Womens numbers chunky boyfriend watch by WRISTOLOGY is gorgeous and oh-so-dainty. She features an on-trend, super slim case in beautifully feminine gold, a super clean numbered and gold face, and a brown genuine leather strap. She looks great and transitions from day to night like a pro.